Need to display signages that warn people of the specific dangers in a site? Our customized danger signs are the perfect option for you! By ordering our bespoke danger signs, your company will be able to alert everybody to the presence of danger, allowing them to avoid it or protect themselves accordingly. 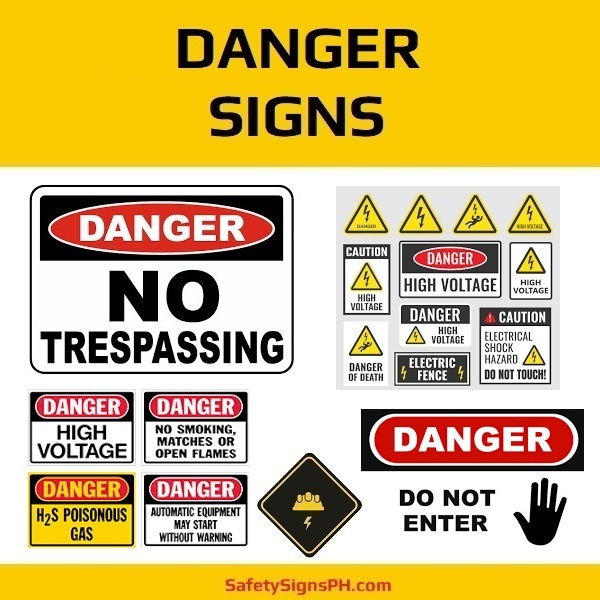 From heavy machinery, deep water, to under construction scaffolding, the potential hazards and health risks can be greatly reduced with the effective use of danger signs. It is a undeniable fact that workplace health and safety is an important matter for any business establishment. 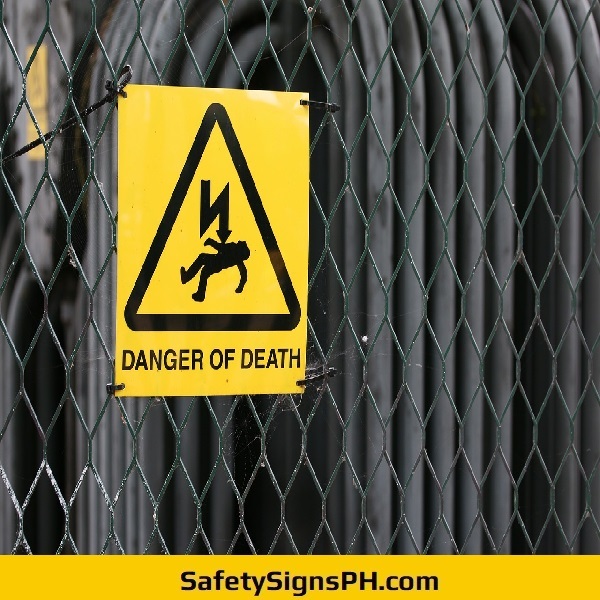 In locations where there a potential danger has been identified, ensuring that the necessary safety warning signs are installed should be taken into account. 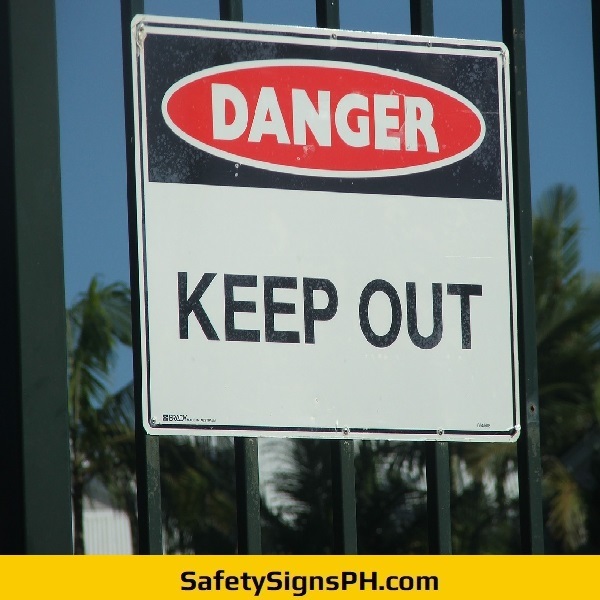 Dangers within your premises need to be addressed and a great preventative step is to install quality and durable safety signages. 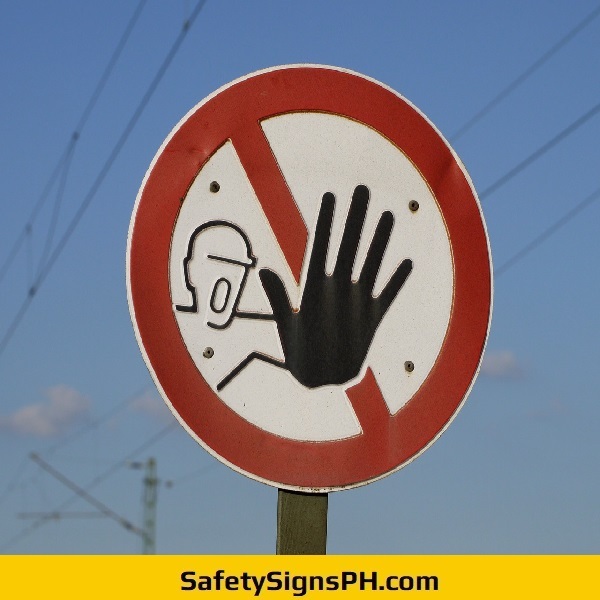 Here at SafetySignsPH.com, we specialize in designing and manufacturing reflective danger signs suitable for various industry sectors, including construction, engineering, road work, mining, manufacturing, and others. Whether you need outdoor high voltage signs or reflectorized danger signages, we can get the job done with quick turnaround time! We can accommodate small and large projects anywhere in the Philippines, mainly in Metro Manila, Cavite, Rizal, Laguna, and Batangas. Got further questions on our custom danger signs? Don't hesitate to get in touch with us! 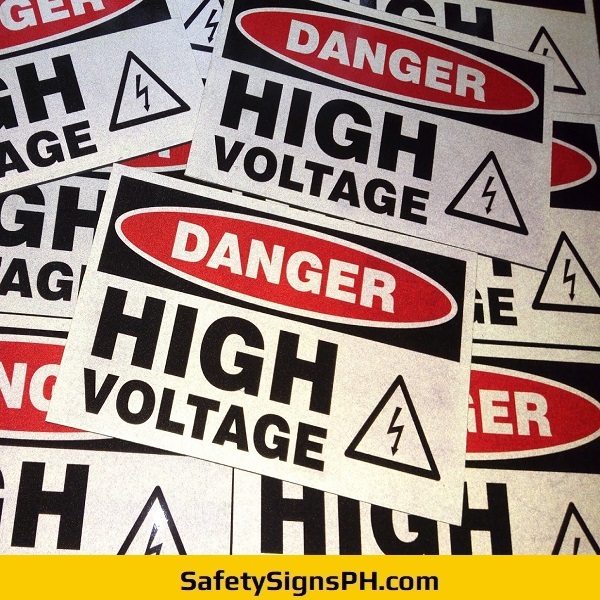 No matter the purpose, we can provide high-quality reflectorized danger signages that are compliant with safety regulations in the Philippines. Made with premium materials, all of our safety signs are designed to provide amazing visibility to always keep your employees, visitors, and the public at large safe from potential hazards and dangers. You will not be disappointed!